The British Invasion was a phenomenon that occurred in the mid-1960s when rock and pop music acts from the United Kingdom, as well as other aspects of British culture, became popular in the United States, and significant to the rising "counterculture" on both sides of the Atlantic. 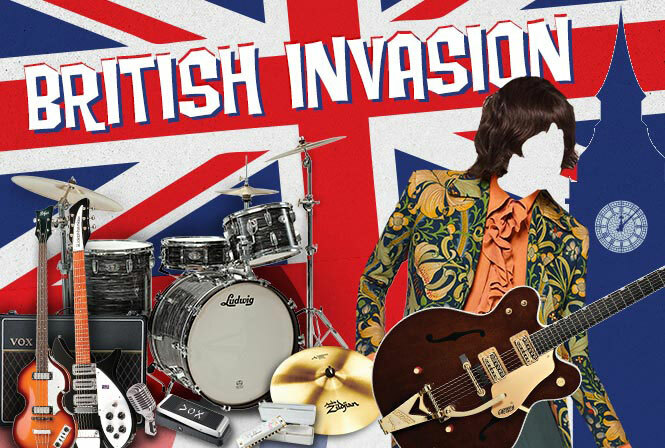 Today we are showcasing those who are considered to be part of the British Invasion. Be sure to check these songs out as well as other playlists. Do you have a favorite British Invasion band? The British Invasion offered some fabulous tunes! ☺ I was living in Europe at the time and there was a "Youthquake" revolution going on, with London, England as its epicentre. Good times, great memories. Loved this post, Mary! Thanks, Debbie! I thought this would be a refreshing post after the battle. I hadn't heard of the Youthquake, but it makes a lot of sense. There were quite a few acts that came out of the Liverpool area besides The Beatles that I liked, such as Billy J. Kramer & The Dakotas, Gerry & The Pacemakers, and Cilla Black. I also liked Them, who were out of Northern Ireland, Peter & Gordon, Chad & Jeremy, Dusty Springfield... I did a whole series on The British Invasion on Two for Tuesday. The British Invasion was when I was just starting to find popular music.